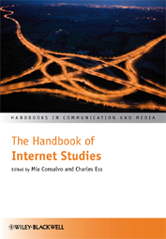 The Handbook of Internet Studies brings together scholars from a variety of fields to explore the profound shift that has occurred in how we communicate and experience our world as we have moved from the industrial era into the age of digital media. Presents a wide range of original essays by established scholars in everything from online ethics to ways in which indigenous peoples now use the Internet. Looks at the role of the internet in modern societies, and the continuing development of internet studies as an academic field. Explores Internet studies through history, society, culture, and the future of online media. Provides introductory frameworks to ground and orientate the student, while also providing more experienced scholars with a convenient and comprehensive overview of the latest trends and critical directions in the many areas of Internet research.